Edit: The sale is now live, a chance to pick up the Core M3 powered Cube i9 for $399, it ends on the 2nd. I’m also expecting my i9 to arrive this week for my hands on videos and a full review here. In order to get the saving you have to use the App version of Aliexpress, as the offer is only via the mobile application and not directly on Aliexpress. Thanks to Max and Vgiozo in the forums for pointing this out. 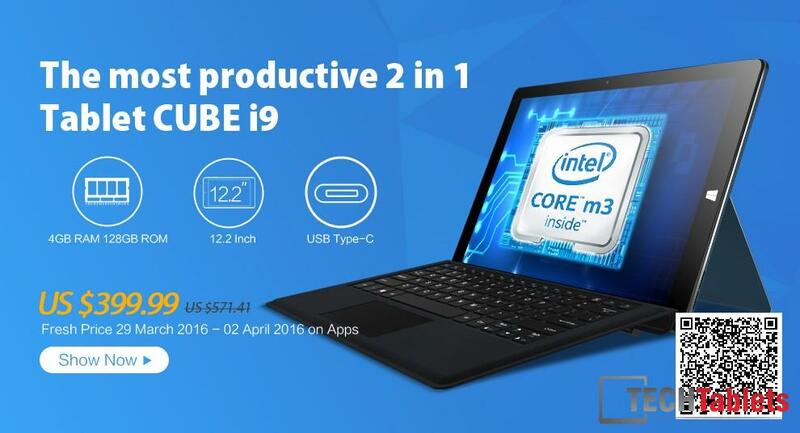 Cube’s official Aliexpress retailer So Cube will be having a sale on the Intel Core M3-6Y30 powered Cube i9. The Price on the 29th of March till 2nd of April will be slashed to just $399. I imagine it will be limited to 1000 units or something. Now that’s not a bad price for a Skylake Core M3, 128GB SSD and a Surface Pro 4 M3 cloned designed. 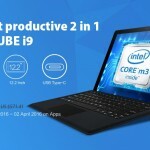 Cube i9 $399 sale page. Can’t confirm, most benchmark shows an decent increase. Skylake is also slightly more energy efficient. On paper it should be faster and the Surface Pro 4 M3 is faster for sure. My i9 just arrived today, so I’ll be working on it asap. Keep an on on the site here and YouTube channel for hands-on videos and benchmarks of the 6Y30. that’s great!! looking forward on your review! now i’m deciding whether a x3 pro or cube i9…btw is i9 going to release stylus version anytime soon? 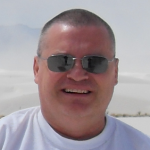 Hi Chris, is there any chance that these new skylake processors will be running Android? Quite like the look of this but have little interest in Windows on a tablet and all the android versions are running the z8300 but I want more gpu power. Dual boot or stylus is anyones guess. I ordered a CHUWI Hi10 with Docking Keyboard – how does this compare? Twice as fast this is. And it has a kickstand and full speed SSD. Bought one Cube i9 tablet, keyboard I bought from a different seller, cause So Cube wanted 85 dollars something for just the keyboard. So I found another seller and bought it for 51 dollars with my native language on it. I also bought two Chuwi Hi Book with keyboard for both, with my native language as well. Who is the seller for native language keyboards? IT HERE! 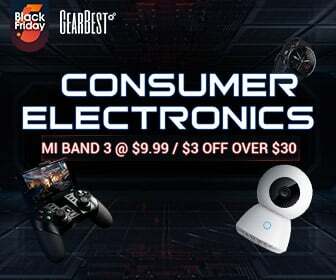 !, Chuwi Hi8 pro finally sale at banggood. Hey I c it come with a pen in the bundle in alimexpres does it support stylus ? I believe it is just a touch pen to assist when your fingertips are too big. I used to have one. It was never at hand when I needed it and now it´s lost. When does the sale exactly begins 0:0 MEZ? Any of you guys know if the i9 can be connected to an external display? Cant find any hdmi connectivity in the specs. Yes, via a type c to Hdmi. Is there a grey and a blue version of the i9? What does that mean? It can receive 5 GHz? Maybe a Seller in Aliexpress could clarify this for us. Thanks for your research. The reason I went for So Cube on AliExpress is that Chris said it is Cube´s official outlet on AliExpress. I tried to google Realtek 8723 BU to find out if it has 5 GHz capacity at all, but that only made me wonder if it exists. All in all, this hasn´t exactly increased my trust in Cube. 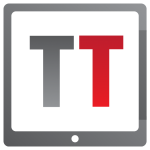 But there is a significant price gap to Teclast Pro 3. I am still undecided. I seem to have to read everything twice nowadays. I just noted on the So Cube page, that the version they sell has Chinese as default language. That spells big trouble to me. Whenever there is a problem with Win10 or some crash (which is bound to happen some time), you are going to see a repair page in Chinese. You may even have problem to install other languages? Not really, you can do a reset of the device and then choose English everywhere, or install the english package (many videos around) and then go into the advanced settings and choose what language should be used in the system for new users as well. Will it include the foldable kickstand for that price? When I look up the AliExpress page, it says “Shipping: US $5.99 to Sweden via Singapore Post”. It normally wouldn´t, if they can´t ship to Sweden. I don´t see why it would be different with other European countries. i never had such a problem but they dont ship to Germany. I dont know why. I changed my country to Germany and this immediately proved you are right. Strange. But at least, they don´t block all Europe. Does anyone who has ordered from Aliexpress sellers know if it really can take up to 60 days for items to be delivered to the UK? It can , bit it usually doesn’t take that long. Check with your customs. Hopefully CUBE will add Wacom AES stylus for i9 instead of launch stylus model later. And if it be AES stylus then I prefer rechargeble type like Huawei matebook’s stylus if possible. PS.if they launch i9 stylus model for real…hope that not use smaller screen than original i9. A very decent offer, unfortunately it seems that they can’t deliver to Germany. Any chance for a workaround or alternative? Never used alibaba.com, is this an reliable offer? Aliexpress IS Alibaba and this reseller seems being legitimated by Alibaba and the seller company is about 3 years old. Should be worth trying, but I guess they will go up with the price if you contact them.